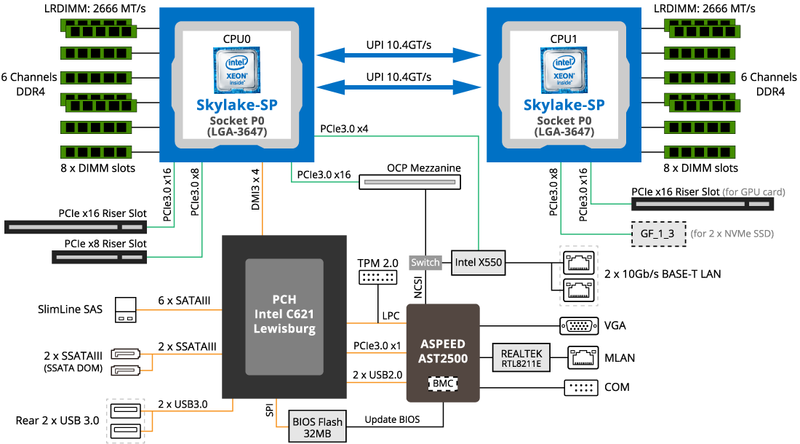 Designed for VDI (desktop virtualization) deployment, the PNYSRB22 Series supports up to (whole system) 2 x double-width NVIDIA GPU boards, 4 x Intel Scalable Skylake/Cascade Lake Family CPUs, a large capacity for both system memory (32 x DIMM slots) and for local storage (24 x hot-swap 2.5" SATA3/SAS3/U.2 NVMe external drive bays) and 6 expansion slots (2 x HHHL PCIe Gen3 x8 + 2 x HHHL PCIe Gen3 x16 + 2 x OCP PCIe Gen3 x16). 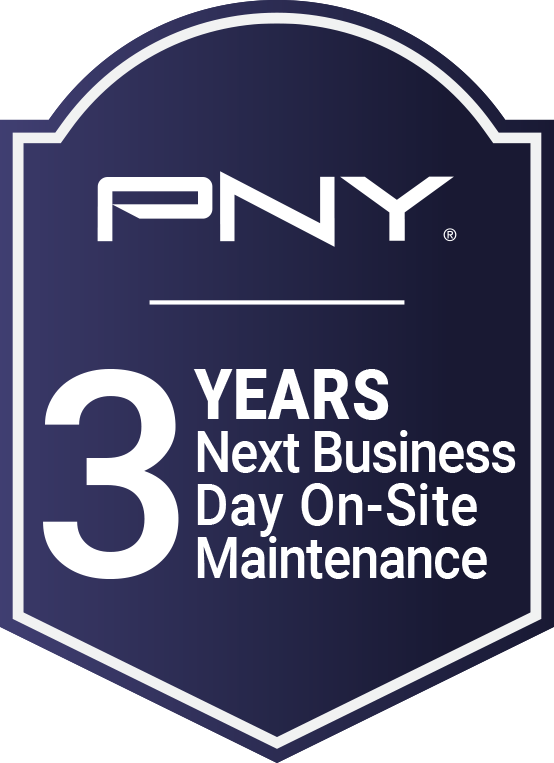 The PNYSRB22 Series provides great configuration flexibility to users who seek High Availability, system redundancy for non-interrupted operation and compact computing power in VDI deployment. 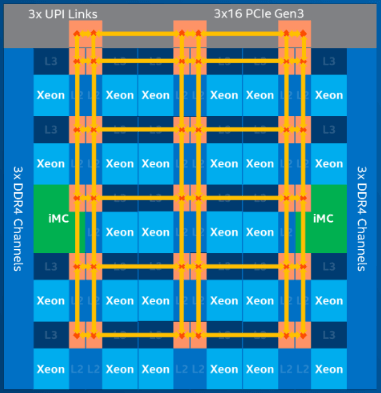 The PNYSRB22 series is built around Intel Skylake & Cascade Lake CPU architectures - ‘Intel® Xeon® Scalable’ Family processors. 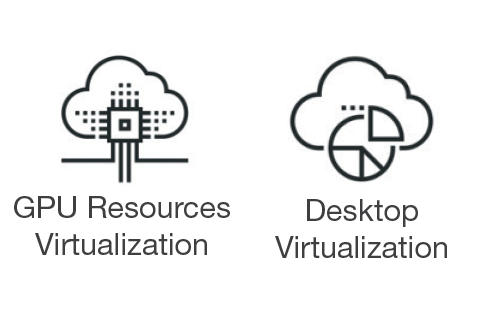 The new product families provide a wealth of new options in scalability - across compute, network and storage - to deliver solutions for a range of applications. 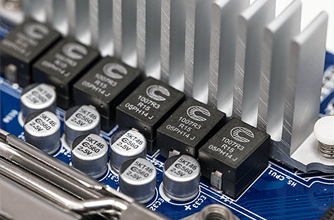 The passive components in the PNYSRB22 series are meticulously selected, which allows the processors and the memory modules to deliver their maximum performance in a super stable operating environment. 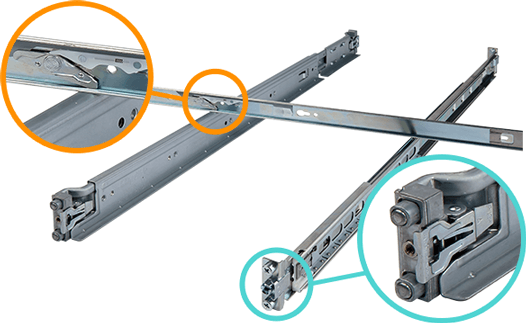 The PNYSRB22 series is built with ultra long lasting components to attain the highest reliability levels. 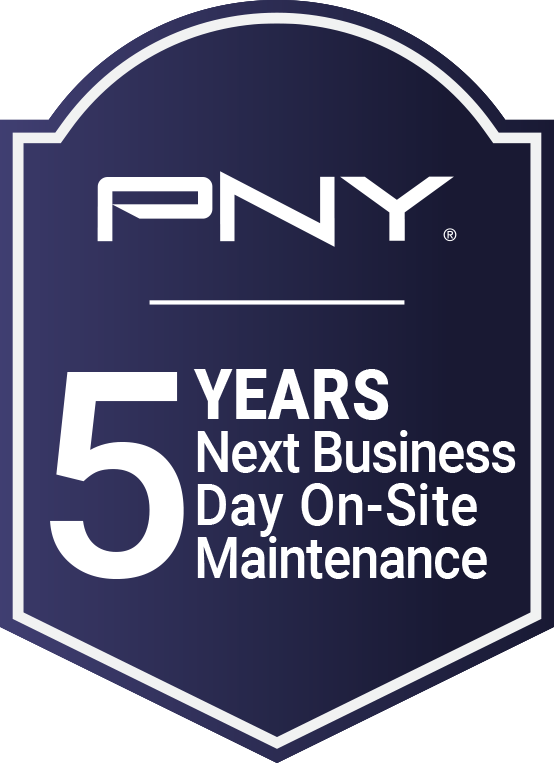 PNY GPU Server systems are thermally designed to provide optimal support for the maximum range of CPU SKUs. 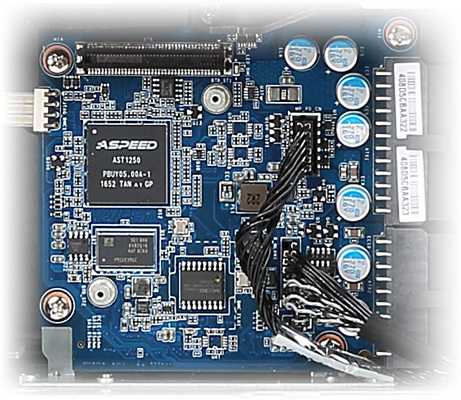 The high density fan design of the PNYSRB22 Series enables efficient performance at up to 165W TDP. 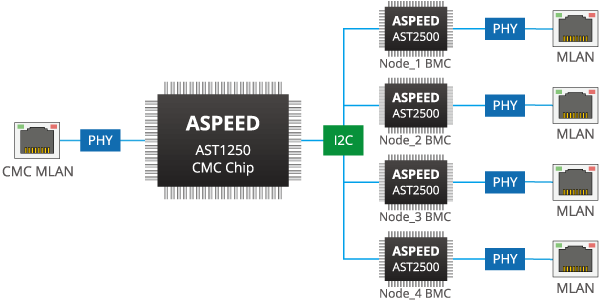 The PNYSRB22 Series features an Aspeed CMC (Central Management Controller) for chassis-level management and node-level monitoring (by connecting internally to Aspeed BMCs integrated on each node). This means only one MLAN connection is required to perform monitoring of all system nodes*, resulting in less ToR (Top of Rack) cabling and switch connections. 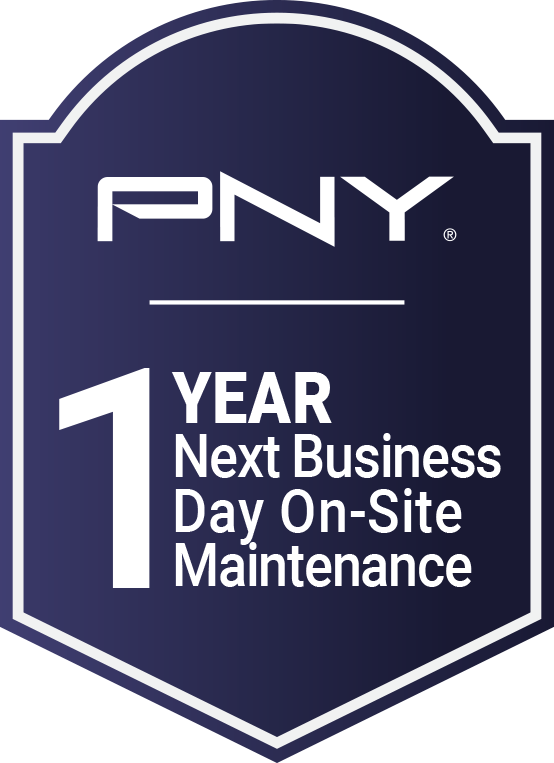 GSM Server: a software program with an easy to use browser-based GUI to enable global remote monitoring and management of multiple PNY servers via each server node’s BMC. GSM CLI: a command-line interface program to enable global remote monitoring and management of multiple PNY servers via each server node’s BMC. 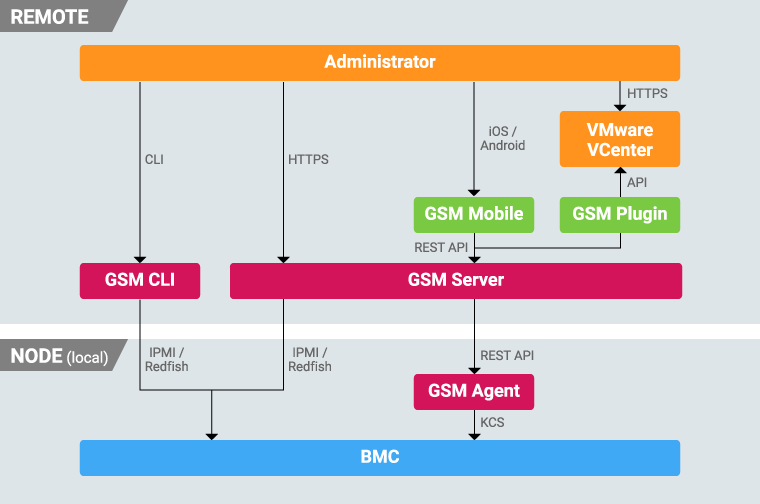 GSM Agent: a software program installed locally on each system node that retrieves additional node information (CPU/RAM/HDD/PCI/…) from the OS and passes it to the BMC. This information can then be utilized by GSM Server or GSM CLI. 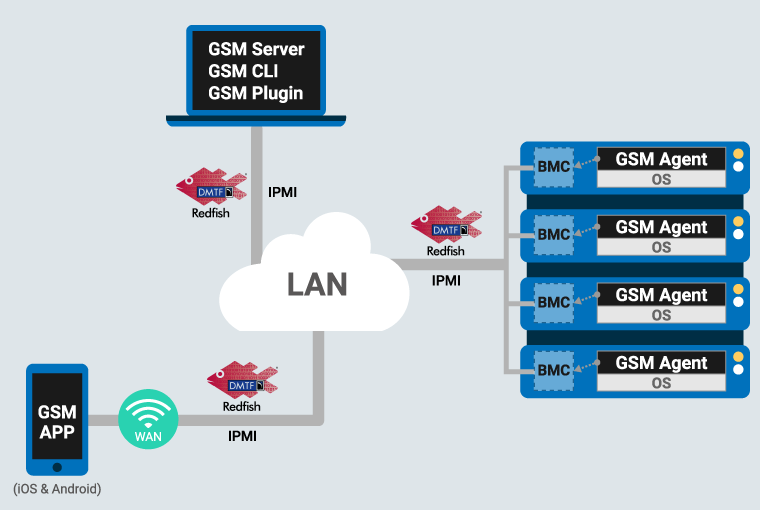 GSM Mobile: a remote server management mobile application, available for both Android and iOS. 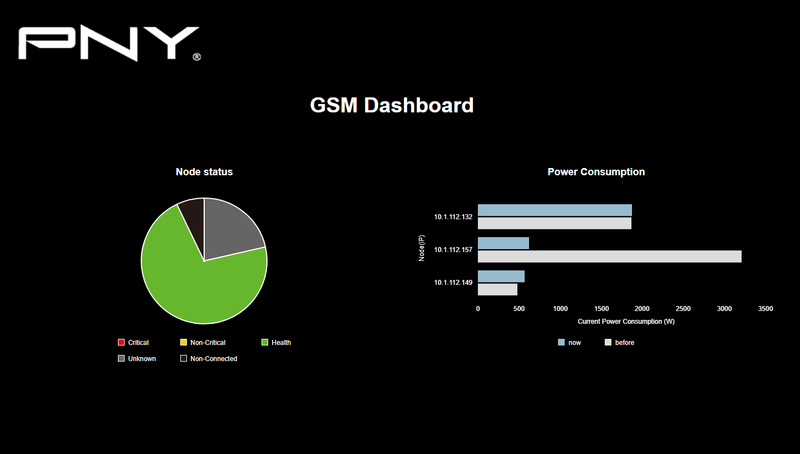 GSM Plug-in: a plug-in that allows the user to manage and monitor PNY server nodes within VMware’s vCenter. 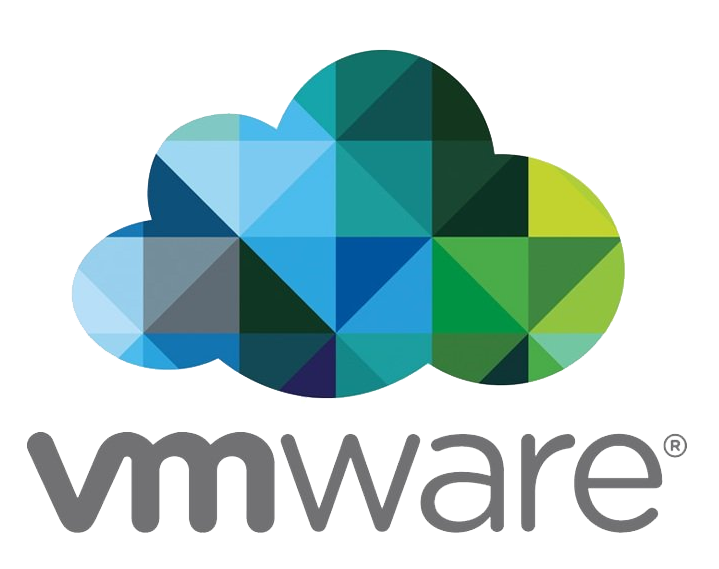 A GSM Plugin is available for VMware’s vCenter, allowing the user to perform remote monitoring and management of PNY server systems without having to switch to a separate software platform.